March is a special month for nonprofits that strive to increase opportunities for women and girls. March 8th is celebrated around the world as International Women's Day. In some countries, it is *THE* holiday to celebrate women - a day to cherish women as we do on Mother's Day in the USA. This year, between March 1st and March 15th, Girls Ed is participating in a campaign through GlobalGiving to earn a spot in the Girl Fund. If we garner the most unique donors in these two weeks, we could secure ongoing support from GlobalGiving throughout the rest of 2018! Consider making a donation of $10 today to help us reach this remarkable goal. Our Pakistan project is the participating program, so follow this link to help us get into the Girl Fund. All of our programs will benefit! From Tanzania, we have two updates to share about our students Sarafina and Hadija. Our volunteer Kate has been conducting ongoing home visits with Madaga and Lucas to assess our impact and collect stories from our students about their experiences as students with Girls Ed. These visits also give us a chance to stay connected to the students' parents, to see how they percieve our involvement in their children's lives, and to simply reaffirm our commitment to their children. ﻿Sarafina may have a lot in common with her parents but there are two things that stand out. The first is their smiles. Sarafina's smile lights up a room and brings joy to all who see it. Her smile mirrors that of both her mother and father, who are also quick to laugh. In addition to their shared smile, they share the same dream: they all dream that Sarafina will go to university. Sarafina is 18 years old and is in Form 4. 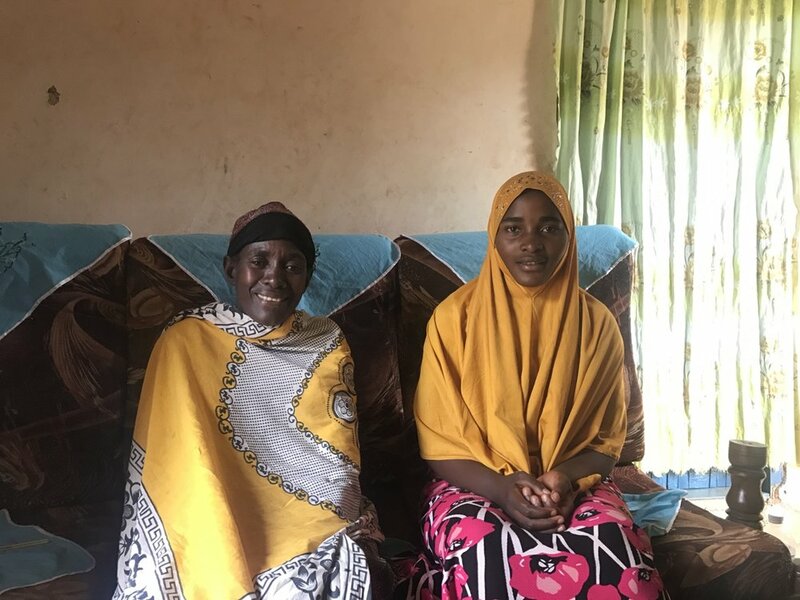 She behaves well at home, has friends who are dedicated to their studies, and wants to study history, Swahili, English, and civics so that she can become a lawyer. Sarafina has many challenges to overcome before she can make her dreams of becoming a lawyer true. Sarafina reports that her school does not have enough science teachers, she does not have books to study, and she is hungry at school because she does not eat breakfast. Yet, despite these challenges, Sarafina exhibits grit and determination. She studies hard and receives good grades. She manages her time wisely and keeps focus on her goal. She is an inspiration to all of us. Sada, Hadija's mom, has health problems. When Sada is ill, Hadija becomes responsible for all of the housework. Sada is frequently sick. Hadija does not let that disrupt her studies. Instead of frustrating her, Hadija is motivated by her mom's health problems. In fact, she wants to become a doctor to solve the various health concerns that exist in Tanzania. Hadija is a leader among her peers. She is regularly voted to lead her class in exercises and discussions. She takes on this responsibility with confidence and grace. She has boundless potential and we're honored to be able to help her achieve it! Thank you for your support during this awesome celebration of women!